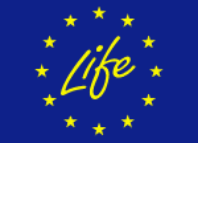 The European Commission has updated and relaunched the Communication Tools pages of the LIFE website. These pages are designed to give LIFE project beneficiaries and partners practical advice and guidance about the communications aspects of their projects. The Communication Tools section now includes a guide to the communication requirements for LIFE projects; a set of resources, including downloadable logos and presentations, recommended reading and advice on all types of obligatory and recommended communication actions; and examples of good communication from recent LIFE projects. The toolkit includes practical information to help projects produce effective websites, layman’s reports, after-LIFE Plans and on-site noticeboards, and to achieve the desired impact from community and expert events, media relations, social media and engagement with policymakers at regional, national and EU level.